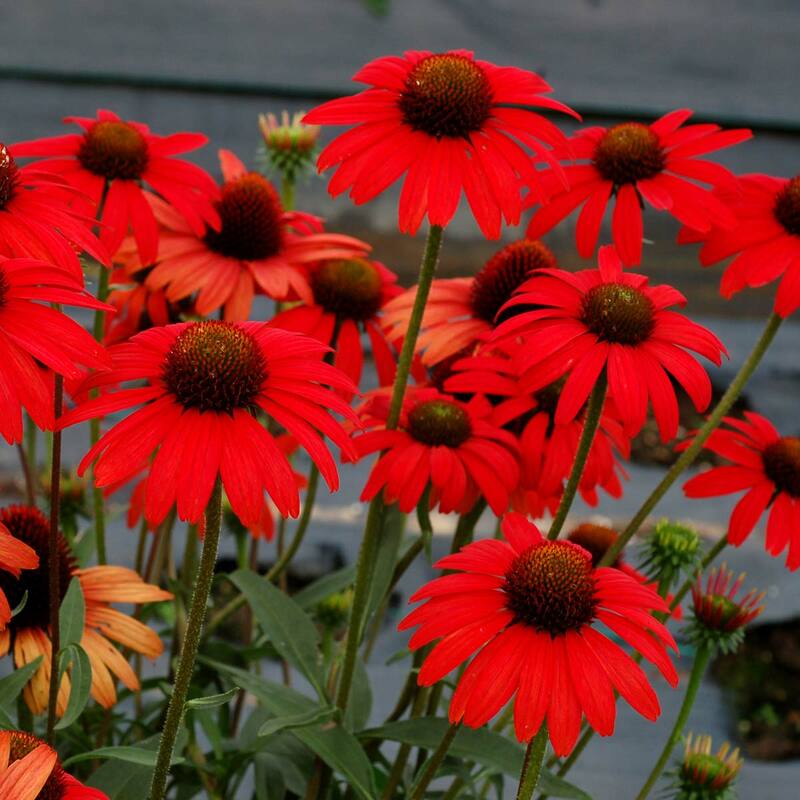 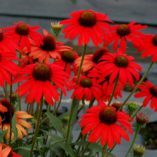 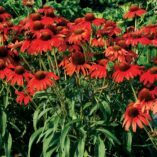 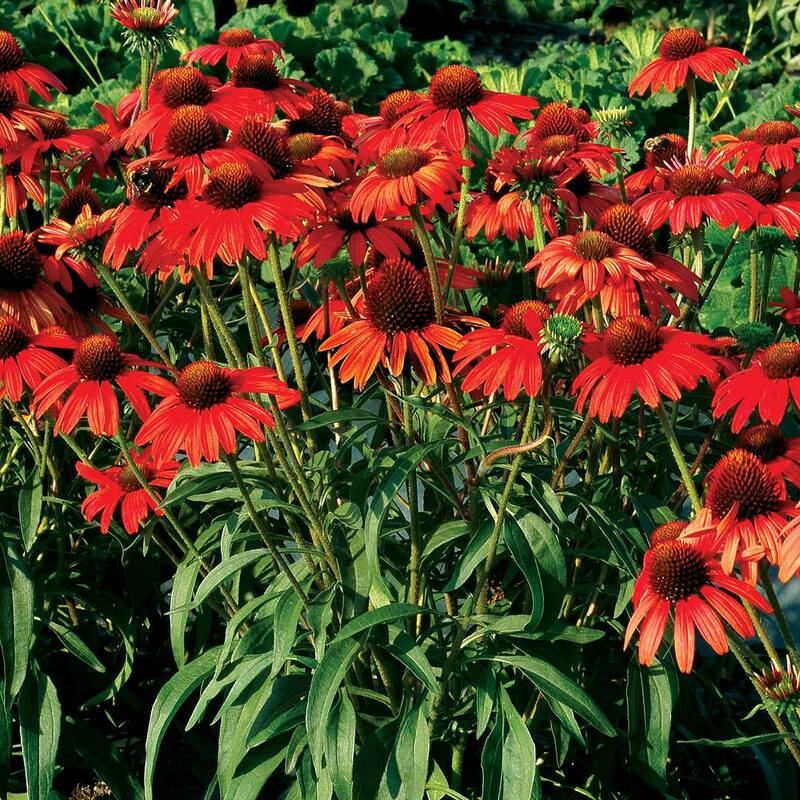 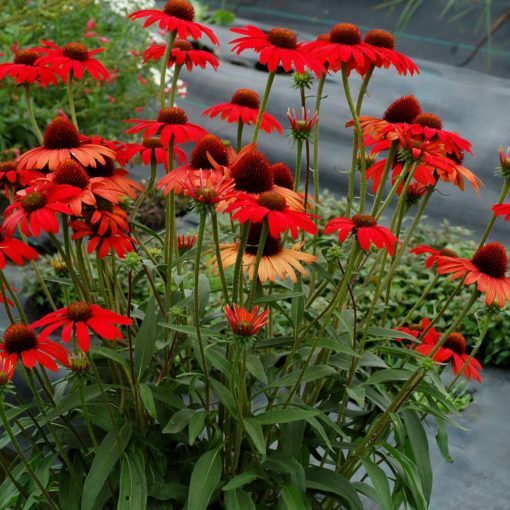 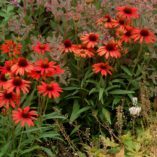 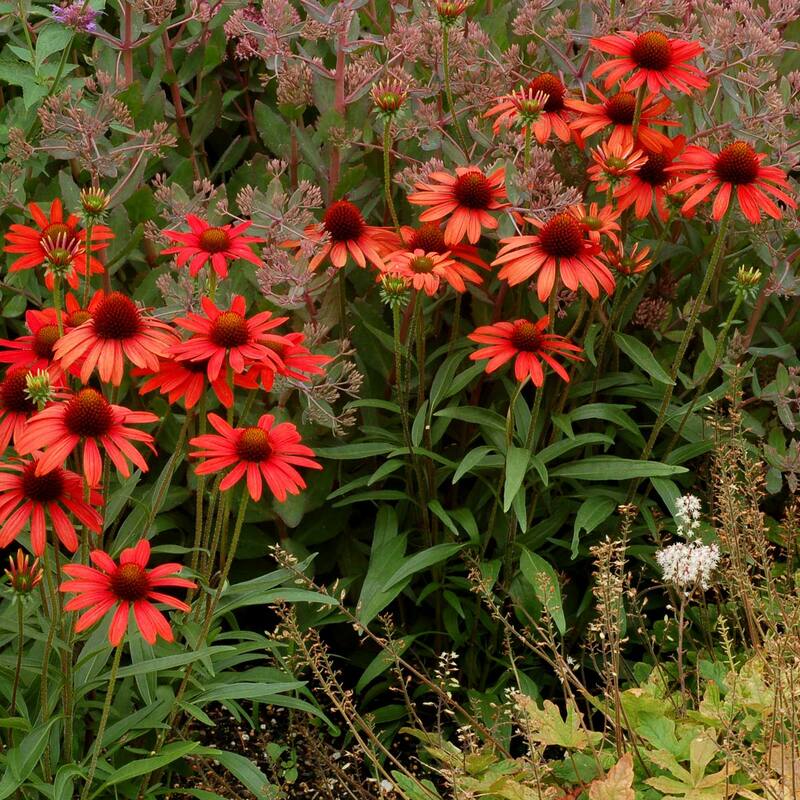 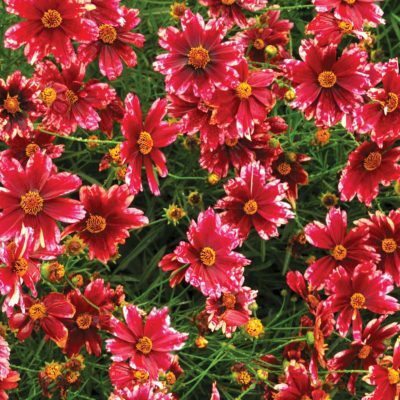 Echinacea ‘Dixie Scarlet’ | TERRA NOVA® Nurseries, Inc. 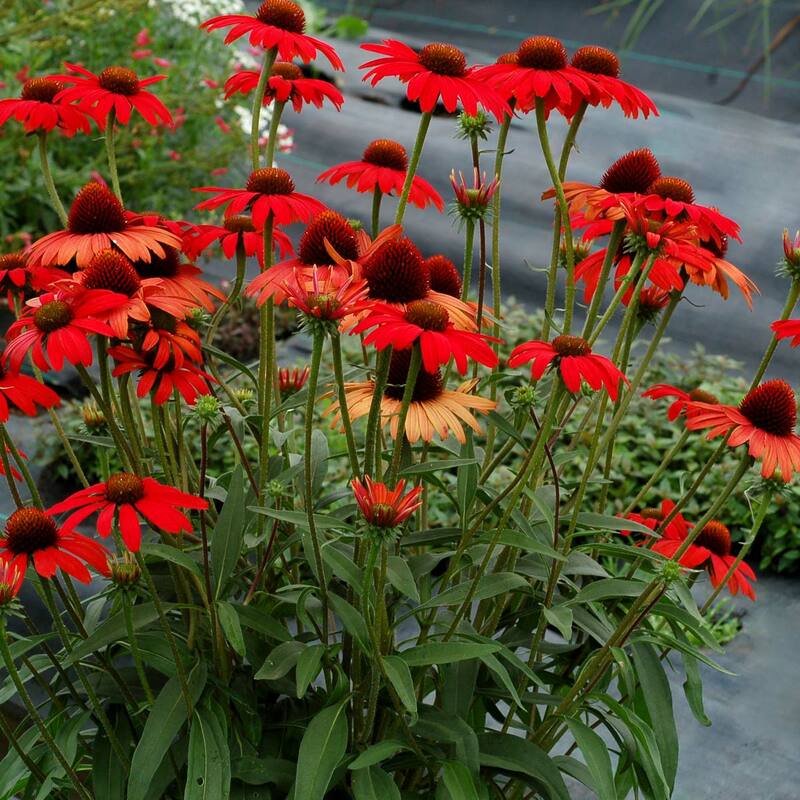 Incredible, velvety scarlet flowers absolutely cover this plant from late spring until the first frost. 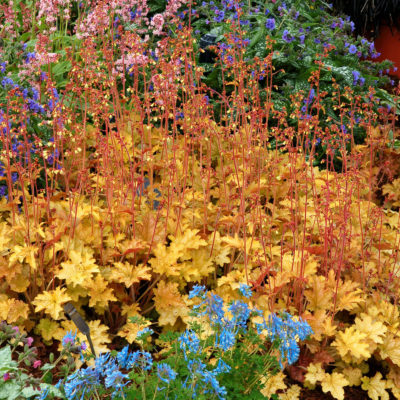 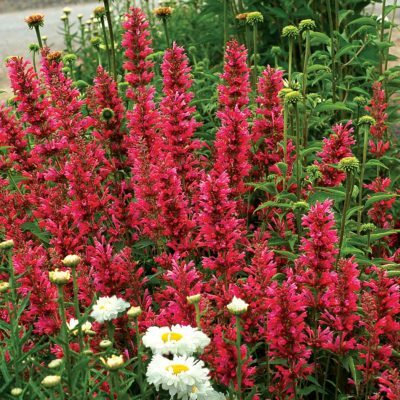 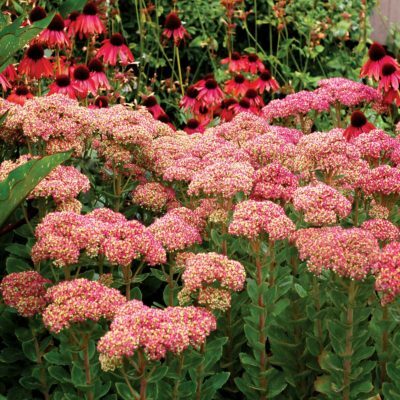 Compact and with an excellent crown count, making a fabulous landscape plant. 16" / 24" / 24"